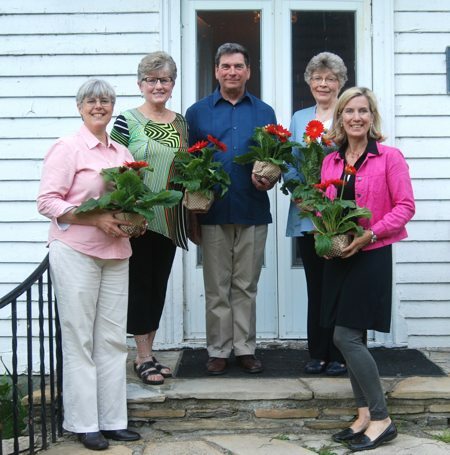 From left: Mary Cooke, Adel Upton, Curt Nestark, Arlene Ehde and Robin Shipman. DIRECTIONS TO RIVER LEA: Beaver Island State Park is located at the south end of Grand Island. Use South Parkway to enter the Park, continue through the Park to the circle at the southern-most tip of Grand Island. The Historical Society meets on the first Thursday of the month at 7:00 PM (except for Jan., Feb., July, Aug., & Dec.) at River Lea in Beaver Island Park. The September meeting is generally a potluck at 6:30 p.m.
All programs are free and open to the public, so feel free to come, learn and enjoy some refreshments while visiting historic River Lea farmhouse in Beaver Island State Park.